The average number of people using their mobile phones to browse the Internet has skyrocketed throughout this decade. What was a costly and fiddly process on the WAP-enabled button phones of the early 21st century is now a fully integrated part of daily life. The smartphone boom has resulted in the vast majority of people carrying devices in their pockets and bags that are capable of finding and collecting information, playing videos, music and games, and much more. Businesses in every industry are always looking to make sure that they are doing all they can to put themselves on that handheld screen as much as possible. 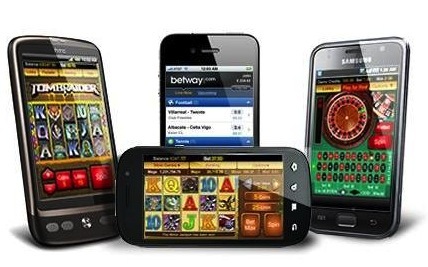 It is therefore no big surprise that many online casino websites have invested heavily into making their sites as mobile-friendly as they could possibly be, and the result is people playing casino games on their mobile phones a whole lot more often. Why so much focus on mobile? 2016 was the year of the ‘mobile first Internet' - the year that mobile searches finally surpassed desktop searches on the search engine powerhouse, Google. In response to this, Google increased its efforts to ensure that sites which rank well in their search results offer an equally good user experience, whichever device the user happens to be using to access the page. To this end, since the second half of 2016 Google has been pushing mobile responsive sites ever higher in rankings, offering a tantalising incentive to those web developers who have yet to take the plunge into mobile offering. One of the biggest driving forces behind the massive growth in popularity of using mobile phones to browse the Internet is the emergence of HTML5 as the engine behind website content. Its predecessor, Adobe Flash, was completely eschewed by Apple due to a combination of factors including disagreements between creators as well as security concerns. This meant that iPhone, iPad and iPod users - a huge chunk of the Internet's browsing audience - were all unable to access Flash content. Flash enabled websites to offer a great deal of functionality in the 21st century, but over time more and more exploits were found and well, exploited. As well as being completely unsupported on iPhone, it was often incompatible with Android phones. 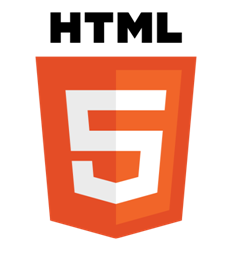 With more and more people wanting to access the content on their mobiles, something had to change, and HTML5 came into prominence early in the 2010s. It is debatable whether the shift from Flash to HTML5 was the cause or the effect of increased mobile browsing - but it is clear that the Internet overall has been moving in the direction of increased mobile-friendliness for several years now. As one of the main game developers for online casinos, NetEnt have naturally been the trailblazers when it comes to providing games which look as brilliant on mobile phones as they do on desktops. 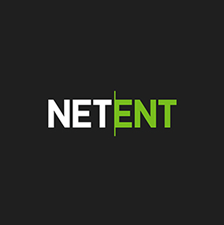 NetEnt Touch® is the brand of games produced by NetEnt for the mobile market. They work on both iOS and Android devices, and the portfolio of games offered is absolutely massive. Slots, Blackjack, Roulette, Bingo, and lots more are on the menu, all coming complete with superb graphics, and enhanced experience optimised for mobile users. Playing a game in your mobile phone's browser is convenient as it prevents you from needing to download an application which will take time to do as well as occupy space on your phone. Anybody with a 16GB iPhone will know only too well the constant battle to keep storage space free. However, if it is a game that you play regularly, or one where progress needs to be saved, applications come into their own. It may take slightly longer to download it in the first place, but once you have, it's there all the time and loads in a matter of seconds, with your progress and preferences to boot. What is more, you may be able to play the game even when away from an Internet connection. As far as the mobile casino trend goes, the browser version is still useful for ascertaining how much you enjoy playing at that particular online casino. Online casino developers have gone to great lengths to ensure that their games can be played on any device, so whether you decide to go for the app or the website, you're sure to be satisfied.